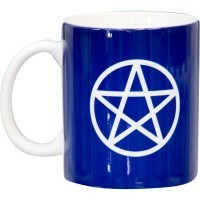 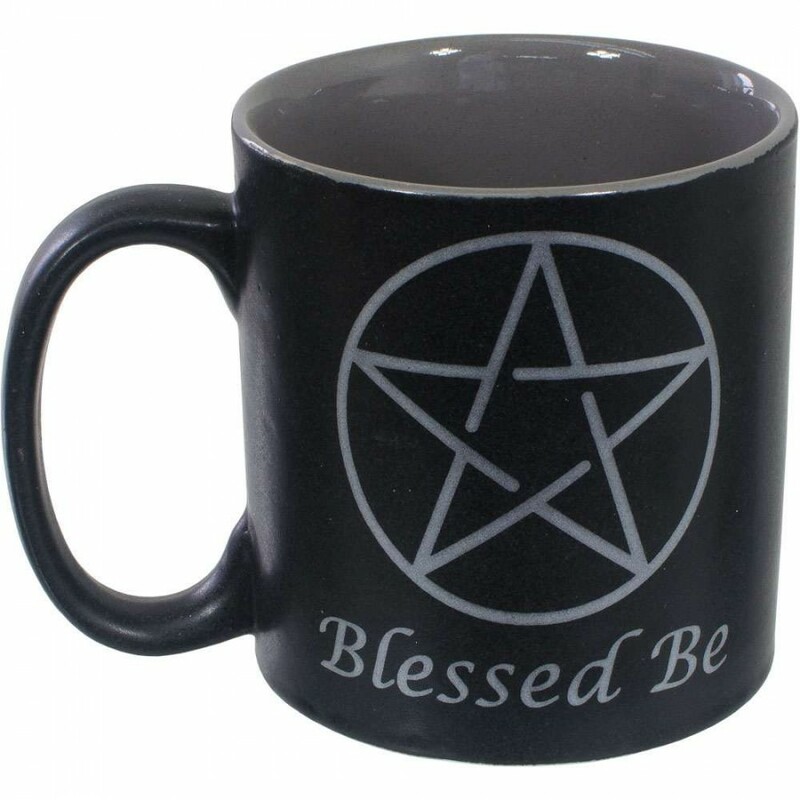 Drink your favorite hot or cold beverage and get protection and inspiration from every sip with our doubled-sided Pentacle and Blessed Be ceramic mug. 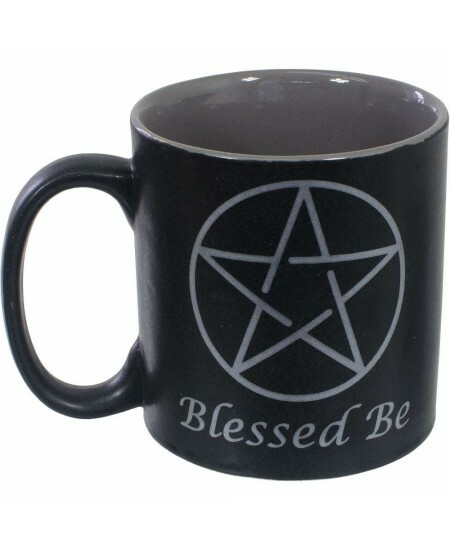 The exterior has a matte black finish and the interior is finished in a high gloss gray to keep you grounded. 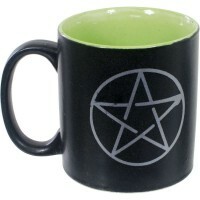 The C-shaped handle ensures comfortable gripping. 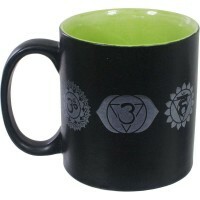 Item Number: KK-68112 | Approximate Size (Inches): 3.50 wide x 3.50 deep x 6.50 high | Approximate Shipping Weight: 1.00 lbs.